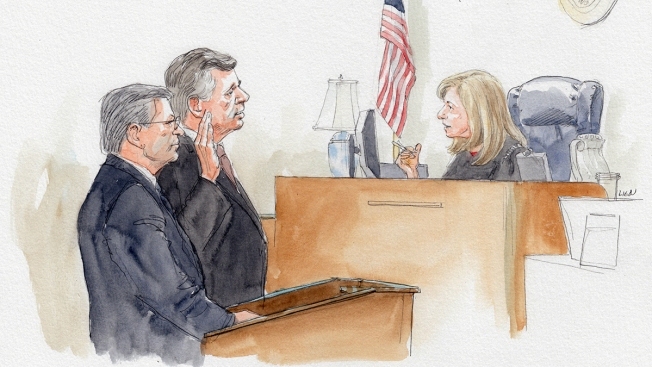 Paul Manafort, at lectern with his lawyer Richard Westling, pleads guilty before judge Amy Berman Jackson on Sept. 14, 2018. Former Trump campaign chairman Paul Manafort may face additional charges after lawyers in the special counsel's Russia investigation said he lied to them and broke his plea agreement, prosecutors said Friday. Prosecutor Andrew Weissmann told the judge that prosecutors had not yet decided whether to file new charges against Manafort for the alleged lies, saying, "That determination has not been made." President Donald Trump slammed Michael Cohen early Thursday, calling his one-time lawyer and loyal supporter “weak” and claiming Cohen lied about lying to Congress. 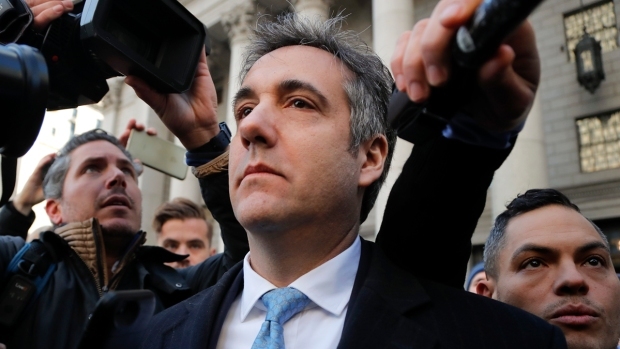 Cohen appeared at a Manhattan federal courthouse just moments before Trump was slated to leave for the G20 summit, pleading guilty to charges of lying to Congress over a planned Trump project in Moscow. Manafort faces up to five years in prison on each charge in his plea agreement. He is also set to be sentenced on eight felony counts in a separate case in Virginia in February.